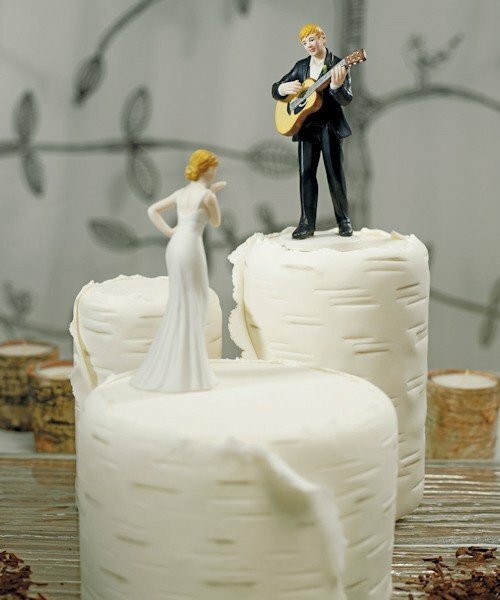 SHARE Wedding cake toppers should be a reflection of your personal style, not just a one size fits all figurine. 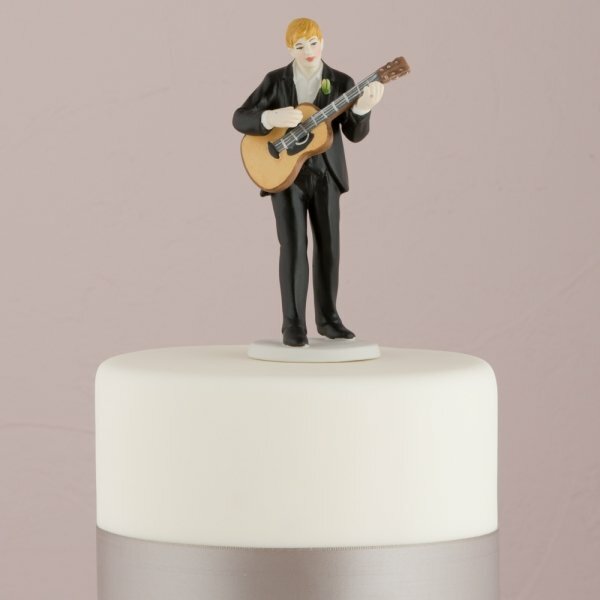 For the musical groom, this Guitar Playing Groom Figurine is the perfect choice. 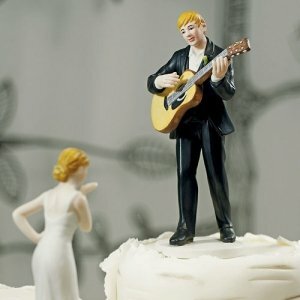 He plays his guitar in a romantic serenade to any of our mix and match brides. 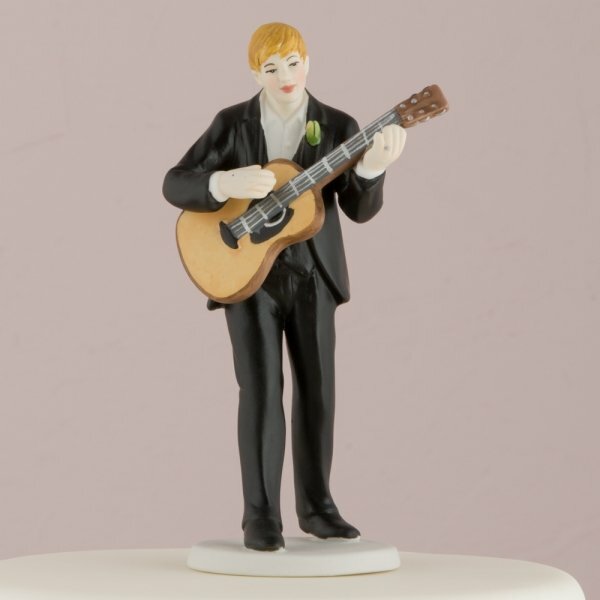 This little groom is made of porcelain and decked out in a formal tuxedo. However, he seems to have relaxed and undone his tie and top button already. He measures 2" by 5 3/8'' (H) which should fit easily on top of a cake. 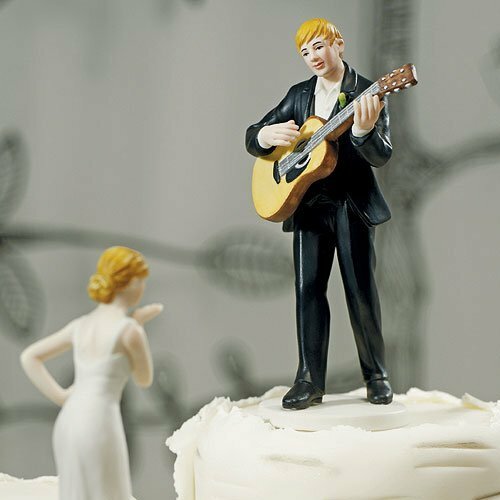 Some couples will display this kind of whimsical figurine on the groom's cake while others are bold enough to put them on the main wedding cake. Personalize this groom with one of 7 custom hair colors so he looks as much like the actual groom as possible. 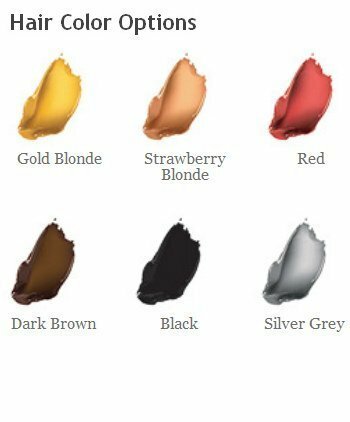 Note - This item includes a personalization, color, size or design option: Groom's Hair Color (View Colors) (extra $7.00) You may specify this information during our checkout process.